What kind of watch should I wear for a job interview? It's a common question. When it comes to job interviews, I like to dress in a conservative suit with a very nice tie. I choose a watch that is tasteful, but not distracting. I like for that watch to be from a reputable, but not extravagant brand. 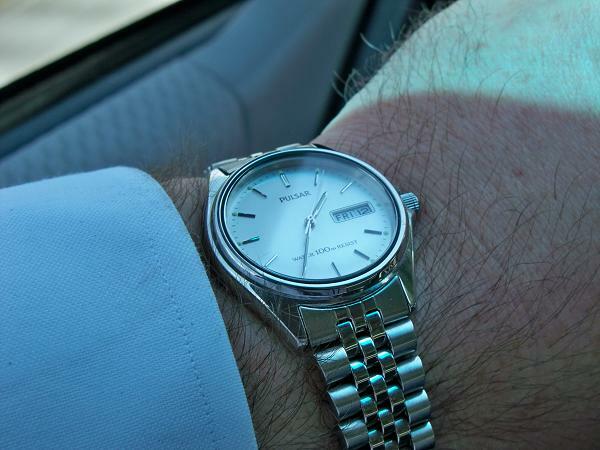 Typically, I wear a Pulsar, Seiko, or Bulova watch for job interviews. I like the band to be metal and I usually prefer silver tones to gold. I think silver or black goes best with navy blue or gray suits. I don't think brown is appropriate for those suit colors. I would reserve brown watch straps for wear with a tweedy combination of brown and tan or khaki. For a job interview, I should be the center of attention not my watch. 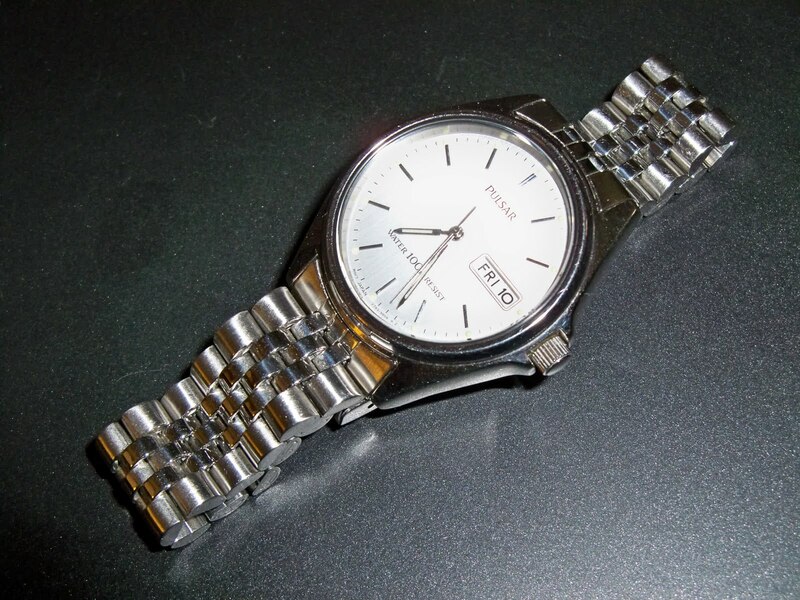 The watch is a contributor to an overall look of professionalism, reliability, and polish. 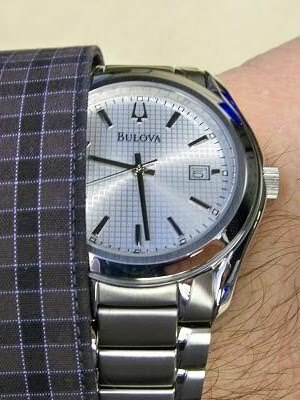 For these traits, my Bulova has been getting the nod lately.